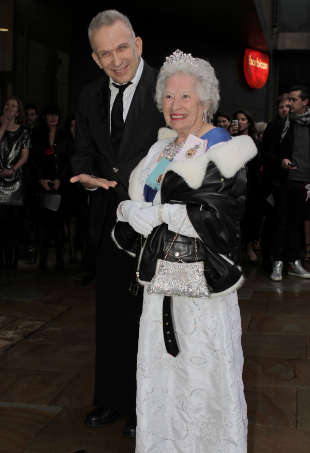 Jean Paul Gaultier Took the Queen to the London Opening of His Exhibition? Jean Paul Gaultier entered the press viewing of his retrospective exhibition with none other than the Queen of England on his arm. The National Gallery of Victoria will be the only Asia-Pacific venue for the critically-acclaimed exhibition.